I have always like to sort and color code my work so I was thrilled when Karen (Snickerdoodle Designs) shared a program she was using called Folder Marker with me. I bought it immediately and have been using it for a few years. 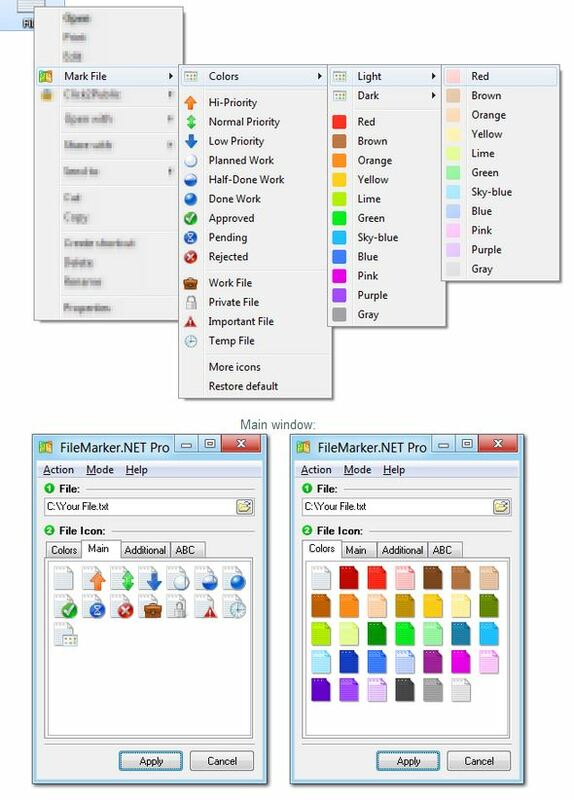 Folder Marker allows you to color code each of your folders on your PC. (I think Mac users already have an option like this.) I have my folders color coded by designer and by PU or CU. It is easy for me to find the things I go to most often at just a glance even though I have a huge built in HD and 5 External Hard Drives connected most of the time. Recently the company added FILE Marker to it’s arsenal for those of us who are color driven. FileMarker comes fully loaded with Icons and colors to help you fully organize all of your important documents. Note: It doesn’t seem to work on PDF files. You can really go crazy or just simplify your life a bit. My High Priority items are easy to find with the Orange Arrow. The down side is that you have to purchase an individual copy for each computer and/or user. The upside is, I bought 3 copies last night for less than $21 but that sale ends today. *Note: There is no relationship (at this time) with the maker of this software. I’m simply sharing a great deal on a product I use and that helps me with my work flow.